Left: Surgi in 1942. Right: Surgi in 2003. 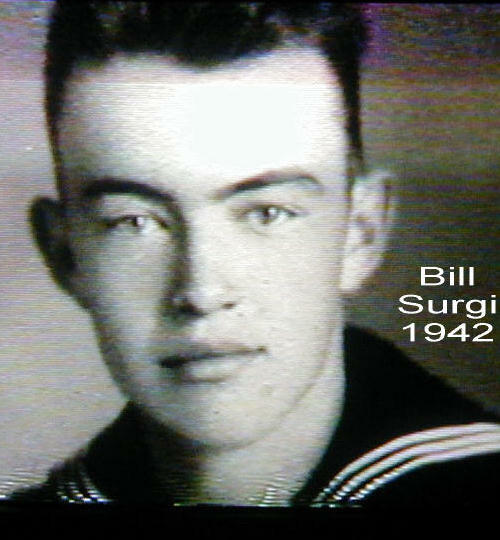 Bill Surgi was an aviation mechanic with VF-42, the fighter squadron assigned to USS Yorktown (CV-5). The merging of VF-3 pilots and aircraft with VF-42 for the BOM is one of the battle’s confusion factors, which Surgi adamantly sought to redress throughout his tenure on the Roundtable and before. VF-42 pilots, equipment, and enlisted support were by far the majority within the composite squadron, but it has gone down in the history books as “VF-3” since its commander was VF-3 skipper Jimmy Thach. Surgi was quick to point out who and what had actually comprised the squadron whenever an opportunity arose. 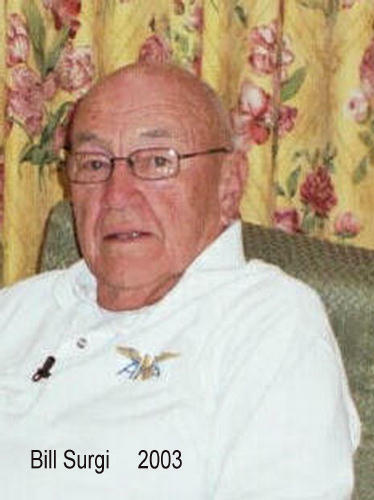 He was a regular supporter and attendee at annual VF-42 and Yorktown reunions.